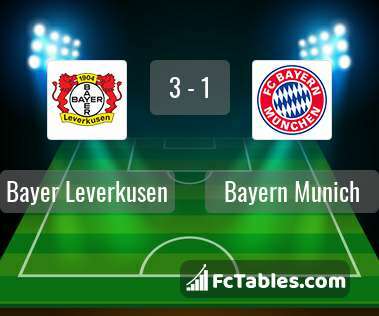 Match Bayer Leverkusen-Bayern Munich 1. 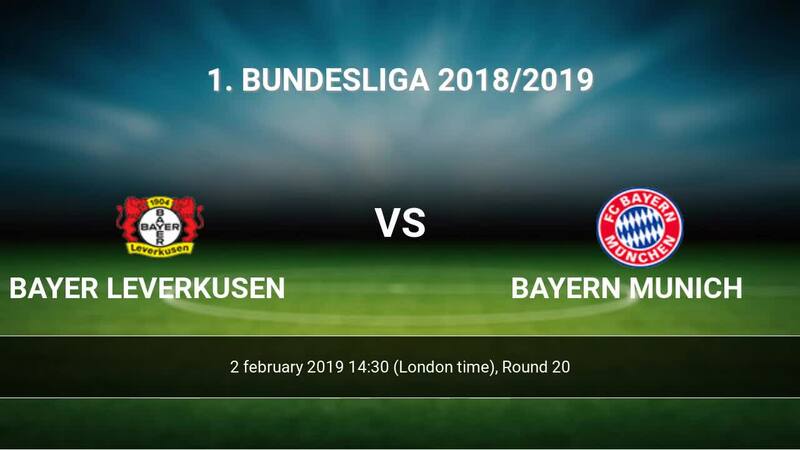 Bundesliga the fixture is set to kick-off today 14:30 on BayArena. Refereee Tobias Stieler. Team Bayer Leverkusen is located in the middle of the table. (9 place). In 5 last games (league + cup) Bayer Leverkusen get 9 points. The best players Bayer Leverkusen in 1. Bundesliga, who scored the most goals for the club: Kevin Volland 7 goals, Kai Havertz 7 goals, Karim Bellarabi 4 goals. Players with the most assists: Kevin Volland 2 assists, Kai Havertz 2 assists, Karim Bellarabi 2 assists. Team Bayern Munich is at the top place in the table (2 place). In 5 last games (league + cup) Bayern Munich get 15 points. Not lost the match from 8 games. 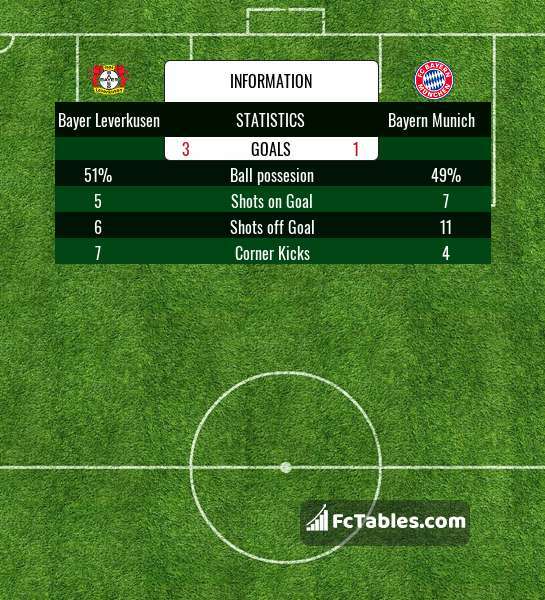 Leading players Bayern Munich in 1. Bundesliga is: Robert Lewandowski 12 goals, Leon Goretzka 5 goals, Thomas Mueller 4 goals. Most assists in the club have: Robert Lewandowski 6 assists, Leon Goretzka 1 assists, Thomas Mueller 4 assists. In Bayern Munich not occur in the match due to injury: Franck Ribery, Arjen Robben, Corentin Tolisso. Direct matches: usually ended with winning of Bayern Munich. Balace of both teams games are: 7 won Bayer Leverkusen, 28 wins Bayern Munich, 9 draws. In 25 matches the sum of the goals both teams was greater than 2.5 (Over 2.5). On the other hand, 37 matches teams scored more than 1.5 goals (Over 1.5). In 25 matches the both teams have shot at least one goal.